Since graduating with an MBA from EU Montreux in 1993, Flögel has acquired a wealth of international knowledge in the IT sector in both Europe and Latin America. 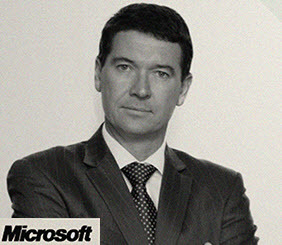 Last year, Flögel was appointed General Country Manager for Microsoft in Chile. If you could sum up your job responsibilities in three sentences, what would they be? 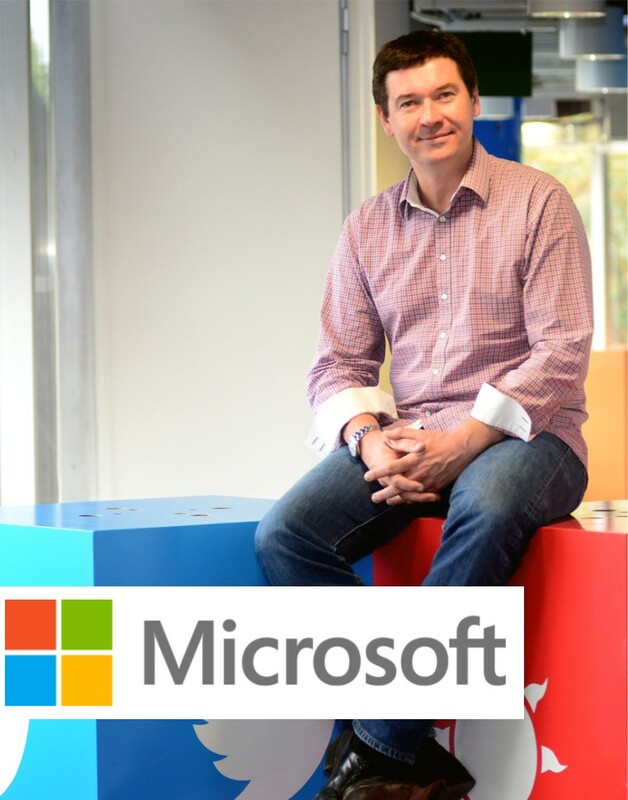 As General Manager of Microsoft in Chile, I am responsible for the P & L in the country, leading a team of 100+ employees. I am also responsible for institutional affairs including governmental relations and citizenship initiatives. Microsoft sells a broad array of products and services, from Xbox and accessories, to software licenses and complex services to large corporations and governments. To sell its products and services, Microsoft uses diverse distribution channels from direct sales to retail and a network of over 1,500 partners. Microsoft supports the local start-up community through the Imagine Business Lab, a Public Private Partnership which accelerates innovative companies and plays host to Stanford Ignite, the entrepreneurship program of Stanford University. Microsoft is now evolving from a software licensing company to a devices and platform company; moving most of its products to the cloud. This shift from licensing to a services world implies profound changes in the way the company does business. Also, the acquisition of Nokia and the development of first party hardware is transforming our portfolio dramatically. In this context of transformation with new lower margin products and services pressuring profitability, the main challenge is to lead the team, explaining the company’s strategy and need to transform. This generates a common vision and motivates the team to excel and become catalysts of change. The people! This job implies working with people on a daily basis. From your direct reports to a network of over 1,500 partners and a broad customer base, ranging from an Xbox fan to CXOs and government officials. Also, the continuous learning opportunity a company like Microsoft gives you. There are great learning opportunities rather than highlights, especially when you reflect on the different events that have happened during your career and use this experience to evolve and become a better professional. After graduating from EU, what were your first steps into the industry you now work in? After a short training at a bank in Spain in 1994, I joined Telefonica, one of the leading Latin telecommunication services providers. I spent eight years in different positions within the finance and M&A areas of the company in Spain, Brazil and Argentina, later becoming CEO of the Chilean subsidiary in 2003. I left Telefonica in 2010 to start a venture capital firm where I am still a General Partner. I also supported a number of start-ups as an Angel Investor, and led the digital strategy of the Chilean government during 2011 and 2012. In 2014 I joined Microsoft as General Manager of the Chilean subsidiary. If you had the chance, is there anything you would do differently? As an Angel Investor, it became clear to me that one of the most complex decisions one has to make is knowing when to let go. If it is too soon, you may miss out on an excellent opportunity and if you’re too late, you may lose your investment or a business relationship. This applies to most decisions in life. If I had done things differently, I would have probably only made different mistakes. From my perspective, the question is not whether you would have done something differently but how you face a learning opportunity, how you reflect on failure (nobody really learns anything form success…), and how fast you stand up and move on. Was there anything you learned or experienced at EU that you have found valuable throughout your career? I think the most valuable asset that I took with me from my years at EU was the continuous exposure to a multicultural environment. This gave me the opportunity to become a better leader, be more conscious of the different needs of a team, and understand its diversity – especially the power that different cultures working together with a common goal can have. Is it possible to have such a demanding high-profile job and have a social life? People talk a lot about work-life balance, but I think this conversation is completely outdated. Today, especially with all the available technology, there is no personal and professional life, there is just one continuum, where one minute you can use your smartphone to send a corporate email or approve a purchase order, and the next you are looking at your social networks or organizing your weekend plans. Everyone has personal pictures on their corporate computer, or has their personal computer connected to the corporate network. At the end of the day, it’s a question of priorities and objectives. Every single person in the world has the same 24 hours in one day – it’s up to them to decide how they spend and it is them who decide how to balance their life. What advice would you give to anybody who wanted to follow your career path? Work hard, take chances and be thoughtful. Try to fail fast and always have a learning attitude. Try to always reflect on your mistakes and don’t take success for granted. You have accomplished and achieved a lot during your career, is there anything you feel you still have left to do? One of the most challenging and rewarding experiences I have had was working for the Chilean government, looking at ways to reduce the digital divide. At some point I would like to shift my career towards a more social role, focusing on digital inclusion and education.